Syrian Ambassador to the UAE, Abd Allaltif Dabaj, has defected, joining his wife, Syria's Ambassador to Cyprus, Lamyaa Hariri, in Qatar. 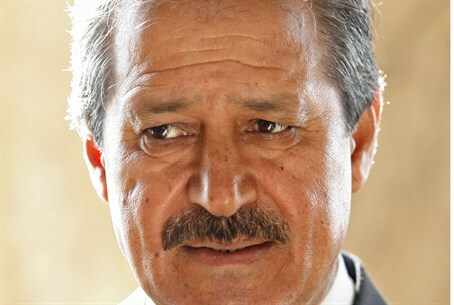 Arab media reported Sunday that the Syrian Ambassador to the United Arab Emirates, Abd Allaltif Dabaj, has defected to the opposition. The ambassador to the UAE joined his wife, the Syrian Ambassador to Cyprus, Lamyaa Hariri, who defected last Tuesday, both traveling to Qatar. Hariri, a Sunni Muslim from the southern province of Dera'a, the birthplace of the 16-month-old uprising, is the niece of Syrian Vice President Farouq al-Shara'a, whose role is ceremonial in a power structure dominated by Syrian President Bashar al-Assad's Alawite minority sect. Numerous ambassadors from the regime have abandoned President Bashar al-Assad, including the Syria's ambassadors to Iraq and Belarus, and a top diplomat, Nawaf al-Fares. The pan-Arab satellite television network Al-Jazzeera ran a video one week ago showing the Syrian Ambassador to Iraq announcing his resignation and defection to the side of the Syrian rebels. Fares, a Sunni tribal figure from eastern Syria, defected to Qatar through Jordan two weeks ago, according to diplomatic sources. “From now, I support the Syrian revolution. Where is the honor in Killing your own people? where is national unity? Loyalty is to the people, not to a murderous dictator,” said Fares. A Syrian general and one-time friend of President Bashar al-Assad also fled Damascus this month and appeared in France. After the news was confirmed last week by President Francois Hollande, Brigadier-General Manaf Tlas, a member of Syria's Sunni Muslim majority, called on the Syrian army to denounce the crimes committed by Assad's forces.